With a population of 2.7 million inhabitants Taichung (台中市 / Táizhōng Shì in Chinese) is the third largest city in Taiwan. It is located in the west of Taiwan, about 150km southwest of Taipei, 10km from the sea. Taichung is a relatively modern city with few old buildings. During the Japanese period it was the centre of light industry. 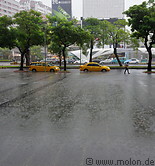 From a tourist perspective there is not much to see and do in Taichung. 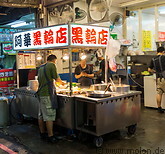 The night market is a popular area where to stroll in the evenings and eat and shop. Taichung has a high speed rail (HSR) station with connections to Taipei and Kaohsiung.